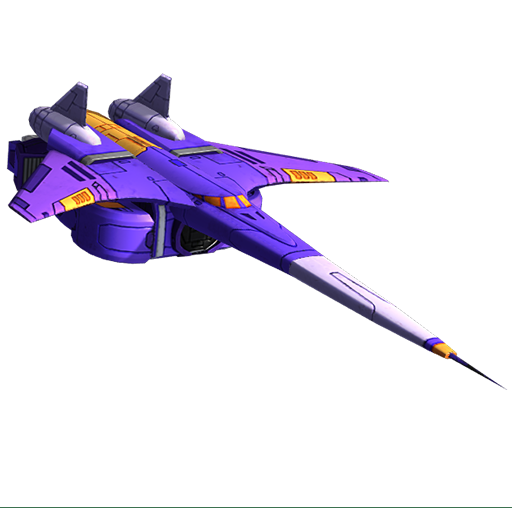 Though both intelligent and awesomely powerful, Cyclonus is also a cold and consummate professional, one who oozes contempt aimed at those who would undermine the Decepticon cause for personal advancement. 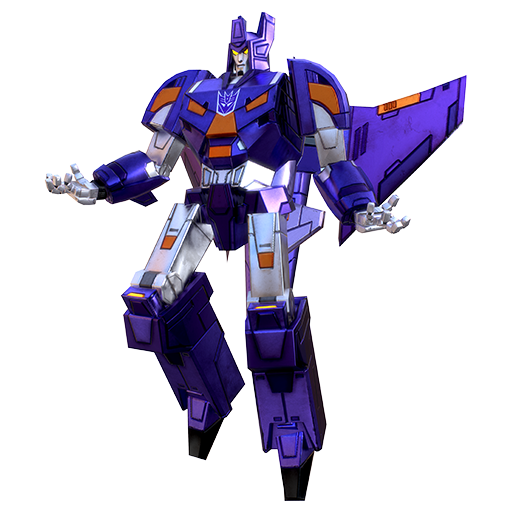 He'd rather earn the respect of his fellow Decepticons through his actions than simply by flexing his muscles. 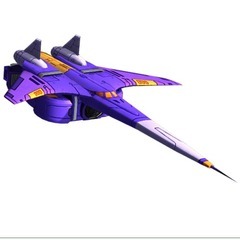 In both space jet and robot mode he's one of the most physically powerful warriors in existence. Bombing Run - Drops 12 bombs in a line across the target dealing damage.